Word by Word is the culmination of 3 years of development. Word by Word Siddur Series teaches the meaning and pronunciation of every Hebrew word in the Complete Siddur. It teaches one word at a time, in sentence context and as a standalone word. It can advance word by word in auto mode, or you can set the pace of study to your personal preference. To further clarify the pronunciation of the Hebrew, each word is transliterated, as well as translated and finaly pronounced in clear human voice with an Israeli Sephardic dialect. 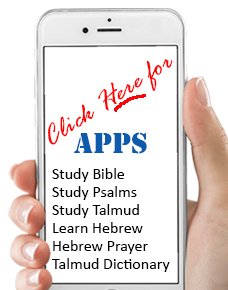 To further add to this exceptional Hebrew Prayer training software we have now included over 75 full length Prayer Songs - that are sung so you can learn the tune and sing them on your own. This CD focuses on the Prayers and Songs Sung Friday Evening - starting with Shalom Aliechem. Word by Word Prayer Book Series divides the Hebrew Prayer Book into 24 Courses. Each component is further broken down to a sub-section where you are taught one word at a time. You learn the meaning of the Hebrew words in Prayer sentence context, and as a standalone Hebrew word. This will help you quickly build your Hebrew Prayer Vocabulary. After you learn the meaning you are taught the pronunciation in Hebrew. To further clarify the pronunciation of the Hebrew, each word is transliterated, and pronounced in clear human voice with an Israeli Sephardic dialect. We all know that a good foundation in Hebrew Vocabulary is essential to understanding the Hebrew Prayers. Word by Word will give you that, and more. It will increase your Hebrew Reading ability and comprehension. From now on, Praying will be exciting - you will be able to focus on the meaning of what you are praying and appreciate what you are saying. AMEN! Hear every word PRONOUNCED in clear Israeli Sephardic Dialect. View English transliteration of each word in either Ashkenaz Dialect or Sephardic Dialect. Every word, Transliterated and Translated in English. Listen - Learn & Sing Along with over 70 Prayer Songs - Learn to sing them on your own!